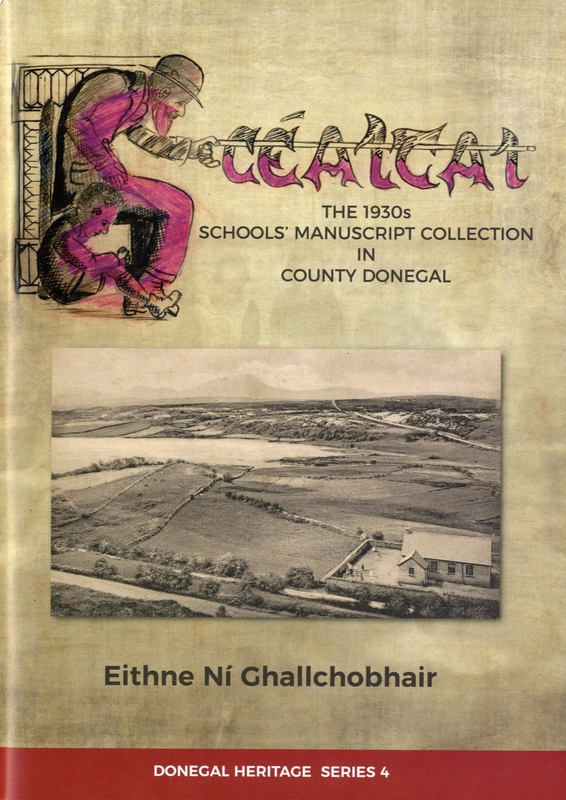 The County Donegal Heritage Office, Donegal County Council will be hosting the launch of a free booklet entitled ‘Scéaltaí: The 1930s Schools’ Manuscript Collection in County Donegal’ in Dooish National School, Glenfinn Road, Ballybofey on Tuesday, October 9 at 7.30 p.m.
“The Schools’ Manuscript Collection is a national treasure, truly unique in its substance and in its execution,” said author Dr. Eithne Ní Ghallchobhair. “On a national level, it’s fascinating to note that while this extraordinarily successful project was coordinated at the highest administrative level, the groundwork was completed by children. The Schools’ Manuscript Collection in its entirety is the ultimate tribute to them and to the teachers of the time who worked in circumstances far beyond the call of duty and whose commitment and enthusiasm was paramount to the success of the scheme. The author of the booklet, Eithne Ní Ghallchobhair, is a native of Ardara and Eagarthóir Cúnta / Assistant Editor of the Foclóir Stairiúil na Nua-Ghaeilge / Historical Dictionary of Modern Irish with the Royal Irish Academy as well as a children’s author and storyteller. Dr. Críostóir Mac Cárthaigh, Director of the National Folklore Collection, University College Dublin will launch the booklet. The National Folklore Collection in UCD is recognised as one of Europe’s largest archives of oral tradition and cultural history, and was inscribed in 2017 to the UNESCO Memory of the World Register. The archive is committed to collecting and documenting the folklore and folk customs of all Irish communities. Copies of the free booklet will be available at the launch and will be made available to schools through the Donegal Education Centre.